Everyone has dealt with work assignments that are so repetitive you feel like Bill Murray’s character in Groundhog Day, doomed to repeat the same processes over and over and over again. Thankfully, technology has an answer for these tedious tasks: automation. This doesn’t mean robots are coming for your employees’ jobs. Using automation software will increase your team’s bandwidth for other projects and contribute to increased business productivity. To show how this can work for your organization, we’ve outlined three reasons you want to use automation at your business and the types of tasks that can be set on autopilot. We’ve also pointed out three mistakes you want to avoid as you start automating processes. Almost any automation tool will help you gain back time. One of our favorite time-savers is bulk client messaging which quickly provides people with need-to-know information via email or text. You’ll create contact list segments and standard messages ahead of time. An example of this is a notification to all vendors of when monthly invoices need to be received. Then, when you go to send the message, it only takes a matter of minutes to reach everyone. You can even preschedule re-occurring reminders and alerts to save additional time. Digitizing documents is another way to save time while cutting down on waste. Instead of printing and then mailing or faxing proposals, you can create and send bills of materials digitally; and then have them signed and stored electronically. This isn’t new, and if you were an early adopter like our client Reliable Insurance Agency, you could have been saving time and money for years and even won the “Automation Excellence Award” for your accomplishment. They went paperless in 2005 and are currently using AMS360 a software solution for insurance agencies and brokers that facilitates client communications, management of electronic files and more. Getting paid is great. Receiving money without having to take the time to send an invoice is even better. Automated billing makes this possible. Invoices will no longer get lost in an inbox or on a messy desk. This frees up your finance department to work on larger projects like budgets and forecasts. You shouldn’t reinvent the wheel (or document) every time you send a proposal or invoice. Instead, use pre-approved content blocks for proposals, invoices, terms and conditions, warranties, etc. Employees can then customize with names, dates or any other client-specific information. Constantly emailing back and forth with clients and employees isn’t efficient and can create security issues if emails are not encrypted. Secure document distribution solves this by providing a platform where people can securely access and edit files. If you’ve ever tracked large amounts of data on a spreadsheet, you know it can quickly take on a life of its own. Revenue and commission tracking software is a simpler solution. You’ll also be able to utilize other features like secure payment methods and analytics which will increase transparency around a core part of your business. The key to benefitting from automation is to set everything up correctly and take full advantage of all the software features. Many apps will integrate with other software; you can link the productivity-boosting app Expensify to QuickBooks and Uber. As you evaluate software take into account your existing technology infrastructure. You’ll need to check that the application or program will run on your current operating system. Another time you can run into compatibility issues is when you have older machines attempting to run new software. The programs either won’t work or can be so slow you don’t end up saving any time. 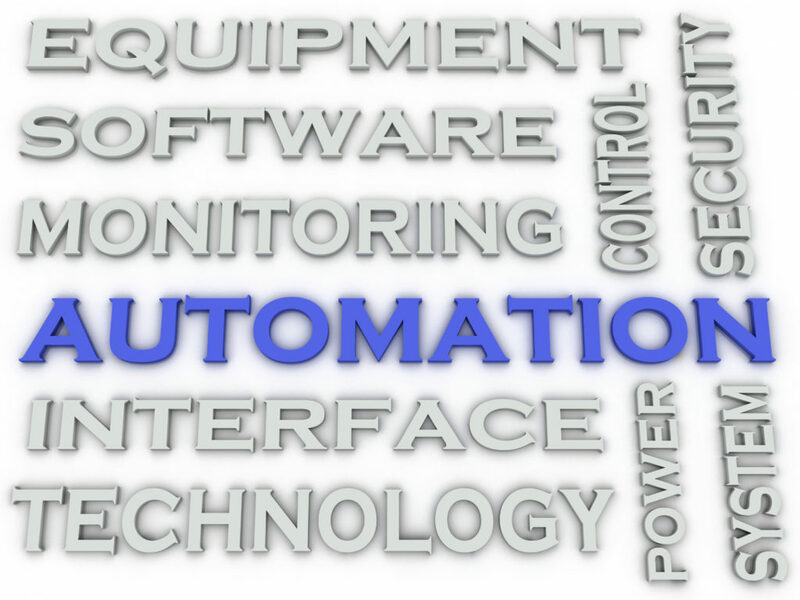 Automation will support your business and should facilitate growth. This means any solution you need to implement needs to scale with you. Consider what changes will occur at your organization, how your team will grow as the scope of work expands and if your solution will continue to work. Ready to become more productive by automating your business’s repetitive tasks? Let us review the systems you are considering just like we did for Reliable Insurance. By partnering with an experienced managed IT services provider, you ensure integration, compatibility and scalability. Reach out and contact us at (952) 258-8200 or online to learn more about how to match your goals with the right tech solutions.